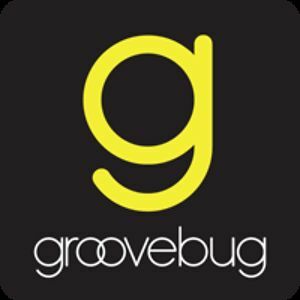 Groovebug is billed as a “personalized rich media music magazine and discovery engine” and it provides exactly that in its smartly designed interface. To get its information, Groovebug scans your iPod library, takes your artists and aggregates relevant information for your perusal. I don’t listen to music on my iPad, so my first step in testing the app was syncing iTunes. Once the songs were installed, I was seriously impressed with the speed at which Groovebug loaded the artist names and corresponding information. Upon tapping artists names — they’re displayed in alpha-order, or you can search or use the random button — users will be treated to full-screen images and biography information pulled from Wikipedia, when available. Swiping through, users can play tracks via the app that are currently in their library or play previews of songs from iTunes. There’s also an option to purchase tracks from iTunes. The next screen offers YouTube videos that play embedded on the right of the screen. Users can still play these full-screen, but I really liked the seamlessness of the default view. Following the videos is a feed of the latest news on the artists, all of which opens in a pop-up browser window (results can be sent to Safari if you want). The last page of the artist section displays similar artists on a rotating turntable. Selecting one of these options will take you to their bio pages, where you can start the exploration process over for someone new. It makes getting wrapped up in Groovebug extremely easy. Groovebug also offers a selection of featured content on its homepage, with percentage indicators denoting how well that content matches the taste displayed in your library. This is a great option for finding new artists or music options. I suspect Groovebug will be a hit on iPad. Best of all, it and all of its features our free, so there’s absolutely no reason not to check it out.